Exactly what God said would happen came to pass on Nisan 17 (April 25). It was a day of new beginnings, which was confirmed by the fulfillment of the prophetic word that stock markets around the world would be in a sea of red. From the opening to the closing bell, they were in the red. That is quite a statement considering during the past 160 years America endured the Civil War, World War 1, the great depression, World War 2, the Korean War, the cold war, the Cuban missile crisis, the Vietnam War, and many other terrible events. That means the next six months are going to be a time of great shaking! 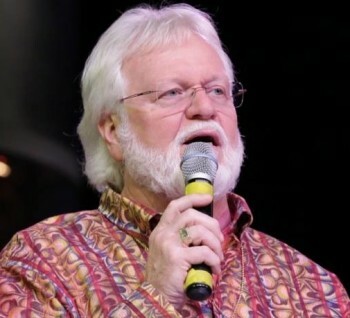 Chuck Pierce added, “…this is a time that the Kingdom of God and those leading it move into their next identity,” which confirms a recent post by Rachel Baxter, I Am Raising Up the Josephs and my recent post, Graduation Day Fast Approaching for Modern-Day Josephs, and a word shared by Bette Stevens, God is Now Calling Many to New Assignments, as well as many other articles posted on this site. Here at the Global Spheres Center we are continuing to advance into this “new crossed over” season. I am so grateful for each of you joined our Passover Celebration, and those of you who are now entering in by our webcast replays. Be sure to see the complete replay schedule below and find your times to enter in. Key Word from the Lord for this New Season! Separating our own assumptions from what God has revealed is one of the biggest ongoing challenges with the prophetic ministry. I apologize for adding my own assumptions, which caused some people to wrongly conclude it was a false prophecy. I hope this confirmation from Chuck Pierce will help everyone recognize the significance of Nisan 17 and prepare for what is coming. Thanks to OutdoorJon for sharing Chuck Pierce’s newsletter. Chuck Pierce said during this time Israel would be in her greatest conflict since 1967. Looking up the casualties of the Yom Kippur 1973, estimates of loss of life were over 21,0000 for Jews and Arabs. Israel recently returned fire to Syria and made over fifty strikes in Gaza. Pray!!!! We may have to take a closer look at the Mcgeorge prophecy on Germany. Since April 25th, the DAX has been dropping almost every day. If this trend continues, it will confirm the collapse began on April 25th. The DAX has dropped steeply from 10377 to 9828 since April 25th. We will continue to watch and pray. Shalom! Interestingly I just looked at the 10 day chart for the DAX and was thinking about it starting in Germany on Passover. Thanks for sharing that testimony Darryl. I believe God has a plan to wake up His sleeping church and get us all back together again on the same page. In the meantime, I thank God for His faithful remnant! The Lord bless and refresh you Darryl with showers of blessing. Thank you. I really do need a refreshing & I ask for clear directions what the Lord wants me to focus on now. Thanks again. Gold and Silver spiked then came down a bit and holding. $18.00 silver barrier was broken and the $1300.00 barrier for gold was broken. Good sign. I had a dream last night about shooting at a glass ceiling but it was so high the bullets had no power when they hit it. So perhaps this week the stock markets will rise again and try one last time to break that ceiling, but they will be powerless to. After that in my dream I left the building, so this may be the last test. That sounds right to me. Thanks for the confirmation! Sharia now drafting gold backed system. Got SILVER? If not, don’t walk but, RUN and get some before there’s none left for you to get. Today’s articles on Zerohedge about Deutsche Bank (DB analyst) mentioning the next steps. Taxing deposit accounts with negative interests rates. Lee, I did the same at the time of Cyprus. I even printed it out for folks to hold in their hands and read it. All I got is a deer in the headlights look. So the dollar index is what to watch. It is under the collapse technical level of 93.50. I got them to admit Jesus is the WORD of God, but yhey still claimed he was not God. I’m going to spring John 1:1 on them next time. Also they kept trying to have me look in THEIR bible… it a jehovahs witness bible, heavily edited, use your KJV. John 14:6 too I bet they dont even have that in theirs. Please Mem and others (who talk against Israel) watch this video. Robert Mawire and Benjamin Netanyahu. Why do you think Obama hates him so much. Shalom! Netanyahu is an Edomite jew. I am Xuete on my father’s side and Sephardi on my mother’s. Google «Sephardic children radiation experiment». There’s even a book about this. German born Ashkenazi-Edomite gospel singer Johnathan Settle came to study music at a small community college in southwestern Puerto Rico: Politécnico de San Germán. Years ago a Google search on him would show that. Nowadays it’s hidden! What would make this person not study at the great musical schools of Europe and come to this small island? Is there anything that could not be offered in Europe? Yes indeed, proper pronunciation! Puerto Rican accent is Sephardi. Yiddish is Khazarian Turkish with Hebrew phonetics. This is the greatest identity theft in history. Yahweh abhors Edomites and per Revelation 3:9 He himself will handle the impostors.